Sarah Ngu (pronouns flexible) lives in Brooklyn, NY and is a co-founder of Church Clarity, a crowd-sourced database that scores church websites for how clearly they communicate church policies for LGBTQ+ people and women in leadership. 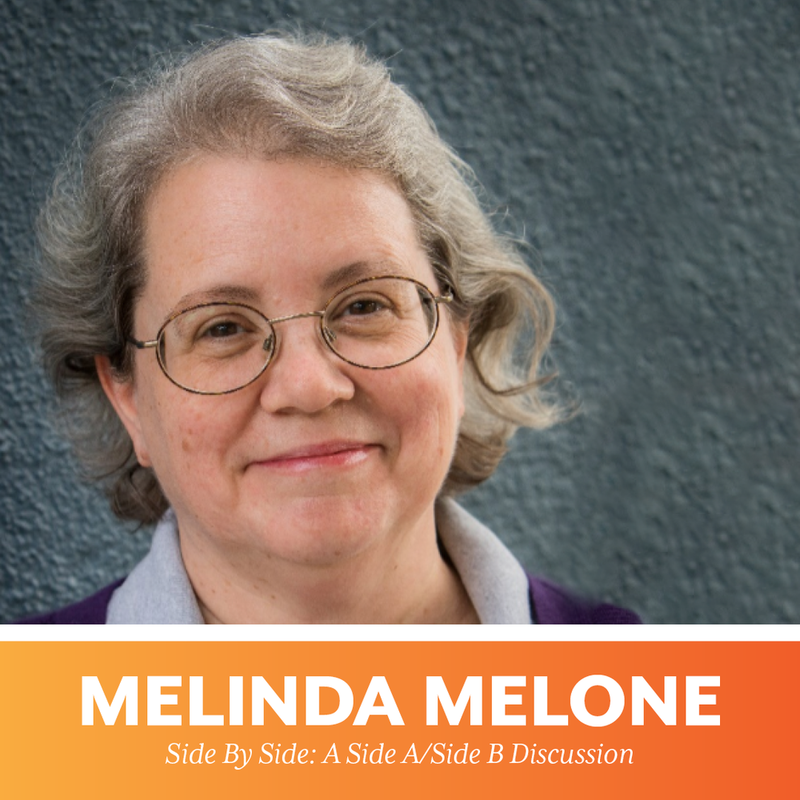 Melinda Melone's two most important roles are as the mom of a grown son and as a novice member of the Church of the Sojourners in San Francisco, an intentional Christian community. She's also a Montessori elementary and adolescent teacher and administrator, and long-time children's ministry leader, trained in the Catechesis of the Good Shepherd. She contributed the chapter "Welcoming Rainbow Kids" to the anthology Faith Forward: Children, Youth and a New Kind of Christianity, and has presented workshops at conferences such as Faith Forward, Revoice, E3 and Weaving Our Gifts. 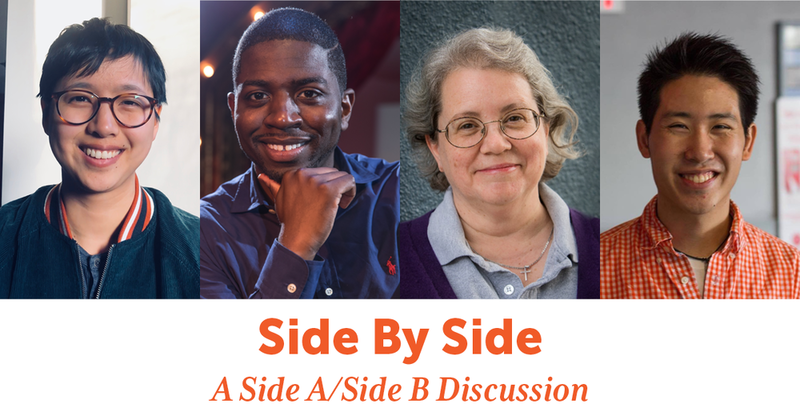 After 25 years in a mixed-orientation marriage, she came out publicly as gay and got involved in the GCN Weekly Baltimore Bible Study and other DC-Baltimore GCN events, before moving to California in 2016. She is part of the Q Christian Side B Advisory Council. Reverend Jamie Frazier, affectionately known as Pastor J, loves working at the intersection of race, sexuality, and religion. He leads The Lighthouse Church of Chicago, a church start supported by the United Church of Christ. Jamie attended Vanderbilt University for his undergraduate studies on a full-tuition scholarship. A celebrated orator, Jamie addressed the historic March on Springfield for Marriage Equality, as well as helped open the 2014 LGBTQ+ Youth Homelessness Summit with words of encouragement and hope. Pastor J has keynoted and presented workshops at various academic institutions ranging from The University of Chicago to DePaul to Loyola University. His passion and hard work were recognized by Chicago Theological Seminary when he received the inaugural 2017 Bayard Rustin Award for Outstanding Service and Commitment to the Work of Social Justice. Ray Low graduated from Gordon-Conwell Theological Seminary with a Master of Divinity degree. He is a gay Christian and identifies as being personally called to celibacy. Ray is currently serving as a pastor in New York City and works as a community outreach director for inner city youth. In his free time, he volunteers with organizations that help to bridge divides between churches and the LGBTQ+ community through better pastoral care, missional engagement, and advocacy work against bullying and victimization.